In the United states the most common carpet width is 12 feet by 15 feet. Chances are the carpet in your commercial space or office building is of the same dimensions. Wherever different dimensions are necessary the carpet is usually seamed together using a seaming iron and seam tape. It is then fixed to a floor on top of a cushioned underlay. Sometimes tack strips are used to fix the carpet on top of the cushioned underlay. Other times people may use adhesives or decorative metal stair rods. Most commercial spaces are covered in carpets. These commercial spaces include office buildings, hotels, casinos, and sometimes even small retail shops. Many people come in and out of these commercial spaces every day with the hustle and bustle of modern day working life. Over time this causes dirt, debris, and other pollution to get soaked within the carpet. As previously mentioned, many different commercial spaces have carpets.Often times people bring the dirt they step on outside into the carpet inside of your commercial space. Over a period of time this will eventually lead to a lot of dirt and debris getting trapped within your carpet. This eventually contributes to the problem of indoor air pollution, which is known to be a growing problem in the United States. 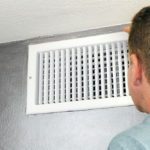 Breathing in dirty indoor air is not only unhealthy, but also unpleasant. Having a dirty carpet may be damaging to you and your employees health in the long run, while also being unpleasant to customers and therefore driving them away in the short term. That is why having a clean carpet is not only a good investment for your health and the health of your employees, but also for the productivity of your business and the comfort of your employees. Here at Organic Air Duct Cleaning our team is committed to providing services which ensure the success and thrival of our local community. That is why we offer cleaning services which are not only a good investment for the long term health of you and your employees, but also for the short term comfort of your clients. We have provided services to a range of clients from small retail stores to large hotel buildings so you can rest assured knowing that your carpet is in good hands with us. We are committed to being green and only utilizing products that are certified as all natural and organic. We do this so that you can be at ease while at work through knowing that the indoor air you are breathing is toxic and pollution free. Call Organic Air Duct Cleaning today and see how we can help your business thrive.